During the 1950s, the Indian fashion scene was exciting, stylish and very graceful. There were no celebrity designers or models, nor were there any labels that were widely recognised. + It is easy to get information in the paragraph that besides designers and models, Indian labels still has no reputation. It was regarded as perfectly acceptable, even for high-society women, … They were proud of getting a bargain, and of giving their own name to the end result. + Above paragraph contains answer of this question. The 1960s was an era full of mischievousness […] an acceptance of innovative types of material such as plastic and coated polyester. + In above sentence, the word “innovative types of material” is other expression of new materials so we can infer that new materials are plastic and polyester. As polyester is already listed, we can conclude that missing word is plastic. The following decade witnessed an increase in the export of traditional materials, and the arrival in India of international fashion. + The 3rd paragraph mentions about “The following decade” so we can infer that it is mention about 1970s and we can find the clues for Q4 here. + In this paragraph, we can find many key words that are compatible with the question such as: “overseas sales” = “export”, “fabrics” = “materials” and “rose” = “an increase”, so we can conclude that this sentence has the same meaning as our question. Therefore the missing word of Q4 is traditional. In India too, contours became more masculine, and even the salwar kameez was designed with shoulder pads. + In this part of fourth paragraph, we can find out information about India’s fashion during the 1980s decade. + The main keyword of this Q5 is “clothing’s shape”, which has the same meaning with the word “contours” in the paragraph. As the text it is said that “contours became more masculine” so we can figure out that in 1980s, clothing had a masculine shape and missing word of this question should be masculine. Meanwhile, designers decided to get themselves noticed by making showy outfits and associating with the right celebrities. In the last decade of the millennium, the market shrank and ethnic wear made a comeback. + At the very beginning of this paragraph, we can see that the writer mentions about India’s fashion situation at that time as well as the comeback of ethnic wear. We can understand this sentence as Indian citizen returned to wear ethnic clothing. + So the missing word is ethnic. Q8. At the start of the 21st century, key elements in the Indian fashion industry changed. At the beginning of the 21st century, with new designers and models, and more sensible designs, the fashion industry accelerated once again. + The main keywords of this question are “At the start of the 21st century” and “key elements”. And above sentence provides us the clues. + As we can see, it is said that in early of the 21st century, there were many new development th such as new designers and models, more sensible designs, … which we can regarded as key elements for India fashion industry development. + In addition, the phrase “…accelerated once again” in the paragraph also reflect the change of the Indian fashion industry. + In conclusion, we can conclude that statement of Q21 match with the text so the correct answer of Q8 should be TRUE. Q9. India now exports more than half of the cotton it produces. + Although above sentence mentions that India is the third largest producer of cotton, there is no information indicates us about the quantity of cotton that India. + Therefore we can deduce that NOT GIVEN is correct answer of this question. Q10. Conditions in India are generally well suited to the manufacture of clothing. + For Q10, we can get clues from the beginning of paragraph 8. + In this part, they have listed a lot of conditions in India such as cheap, skilled workforce, cost-effective production, raw materials, flexibility, and a wide range of designs with sequins, beadwork, and embroidery,… which all seem to be very ideal and well suited for this country to develop its clothing industries. + So, we can conclude that the information from Q10 is TRUE. Q11. Indian clothing exports have suffered from changes in the value of its currency. + We can get the clue for this question in the last sentences of 8th paragraph. Q12. Modern machinery accounts for the high quality of Chapa’s silk. Here fabric-making is a family industry; the range and quality of raw silks churned out here belie the crude production methods and equipment. + In the middle of paragraph 9, we can to find out the clues for the answer from above sentence because this paragraph is mentioning about Chapa and its fabric-making industry. + This sentence provides us information that the process of silk producing absolutely is under the crude production methods and equipment, which is contrary to the statement of Q12 – modern machinery. Q13. Some types of Indian craftwork which are internationally popular had humble origins. Beads are used to prepare accessory items like belts and bags, and beadwork is now available for haute couture evening wear too. + We can get clues for Q13 from the very last sentence of last passage. + According to the text, some kinds of India accessory items, and even haute couture evening wear, are made by beads, which is very ordinary and easy to find. “Beads” is the particular example of the phrase “humble origins” in the question, so it is very important to know the meaning of this keyword. This report, therefore, is structured around the individual components of a sustainable community, and shows the baseline position for each component. from now on public finance will need to provide a greater proportion of infrastructure project costs. + In above sentence of paragraph I, it is mentioned that people will undertake a programme including “discussions with the local community about their aspirations for the town”. + Moreover, this sentence also give us information that “public-sector finance was used to buy” these facilities. This is another expression of how facilities were funded. + Looking at above sentence, the name “Broadway” appears so we can find answer here. + It is mentioned that Broadway is not successfully developed to be a compact town centre and it only a strip of shops with low density. From this information, we can infer that this sentence mentions about the layout of Broadway and also mentions that its layout was not suitable (“failed to develop Broadway as a compact town centre”). + Information about Orchard Centre can be seen in above sentence of paragraph E.
+ This sentence describes that Orchard Centre contains “a superstore , parking and a new street of stores” which are extra facilities for shopping and cars. + So we can easily found that answer A. It provided extra facilities for shopping and cars is the most compatible statement for Q22. + We can see Marsh Bridge is mentioned in above sentence of paragraph F.
+ From this sentence, we know that Marsh Bridge project “were delayed due to difficulties in securing public finance” and it is easy for us to identify that statement D. Its construction was held up due to funding problems match with this content. Q24. A certain proportion of houses in any new development now have to be of the……..type. + In the 1st sentence of paragraph G, we can see that it is mentioned about “forty percent of the units in a new housing development” which is compatible with “A certain proportion of houses in any new development” as the question so this is where we can find the answer. Q25. The government is keen to ensure that adequate ….. will be provided for future housing developments. + From above connection, we can easily identify that above sentence from paragraph H contains answer of this question and infrastructure is missing word of this question. Q26. 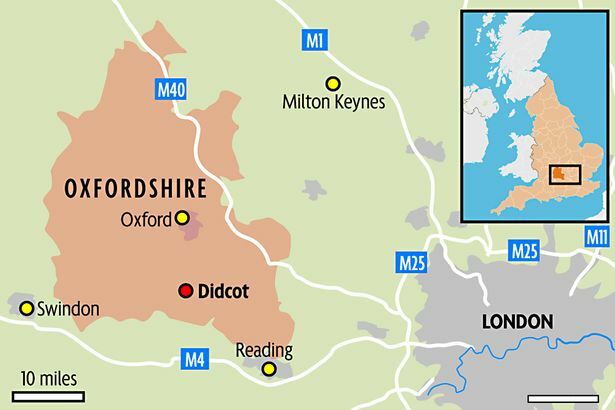 The views of Didcot’s inhabitants and others will form the basis of a ……. for the town. Q27. In the final decades of the twentieth century, a single theory of language learning was dominant. + In the 1st paragraph, we can get information that UP - a theory about language is mentioned in the 1960s. It is obvious that 1960s is final decade of 20th century so we can infer that this paragraph contains information of Q27. + From the 3rd sentence of this paragraph, there are many key words that is compatible with Q27 such as: “five decades” = “final decades of the twentieth century”, “this idea” = “theory of language learning”, “prevailed, and influenced work” = “dominant” so we can conclude that the statement of Q267 match with the text and YES is correct answer of this question. Q28. The majority of UG rules proposed by linguists do apply to all human languages. + Looking at above 2 sentences, although it is said that “linguists have identifiedmany universal language rules” which is somehow match the Q28, the word “exceptions” state that not all rules are applied which is contrary to the question. Q29. There is disagreement amongst linguists about an aspect of Straits Salish grammar. More controversially, some linguists argue that a few languages, such as Straits Salish, spoken by indigenous people from north-western regions of North America, do not even have distinct nouns or verbs . Q30. The search for new universal language ruleshas largely ended. Q31. If Evans and Levinson are right, people develop in the same way no matter what language they speak. + The clause “if Evans and Levinson are correct” is an indicator for us about this question. Q32. The loss of any single language might have implications for the human race. 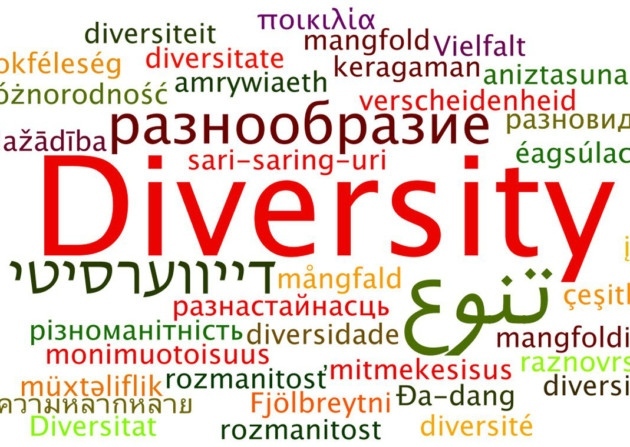 every time a languagebecomes extinct, humanity loses an important piece of diversity. Q33. Which of the following views about language are held by Evans and Levinson? A. Each of the world’s languages develops independently. B. The differences between languages outweigh the similarities. C. Only a few language features are universal. D. Each language is influenced by the characteristics of other languages. Q35. In the eighth paragraph, what does the reference to a middle-ear infection serve as? A. A justification for something. B. A contrast with something. C. The possible cause of something. D. The likely result of something. Q36. What does the writer suggest about Evans’ and Levinson’s theory of language development? A. It had not been previously considered. B. It is presented in a convincing way. C. It has been largely rejected by other linguists. D. It is not supported by the evidence. Q37. Which of the following best describes the writer’s purpose? A. To describe progress in the field of cognitive science. B. To defend a long-held view of language learning. C. To identify the similarities between particular languages. D. To outline opposing views concerning the nature of language. +We can find the answer from the title of reading “Language diversity”. From this title, we can infer that the writer want to mentions about nature of language and during the reading, the writer also mentions about many opposing views about nature of language. + So we can conclude that the list of answers D. To outline opposing views concerning the nature of languageis the most suitable purpose of the writer. We choose D as correct answer of this question. Q38. The Arrernte languagebreaks a ‘rule’ concerning ……………. + The key word “Arrernte” is an indicator to us that we can find out answer of Q38 from above sentence. + In the passage, it is mentioned that Arrerntehas VC syllables but no CV syllables. Looking at the 2nd passage which contains above sentence, the writer describes a rule thatVC syllables (begin with a vowel and end with a consonant) would also have CV syllables (begin with a consonant and end with a vowel). However as above sentence, Arrerntehas VC syllables but no CV syllables, this meansArrernte doesn’t follow above rule. + From above sentence, it is easy for us to find out that Laohave no adjectives so “adjectives” is missing information of this question. Q40. It has now been suggested that Amazonia Piraha does not have……. Amazonian Piraha does not have this quality. + The 4th paragraph contains information of Q40. + At the beginning of this paragraph, it is mentioned that “Even apparently indisputable universals have been found lacking” and in the end, Amazonian Piraha is mentioned that “does not have this quality”. This can be understood as if Amazonian Piraha does not have indisputable universal or the most basic feature. + From the list of answer, we can realize that answer D. the language feature regarded as the most basic is correct answer of this question. Great thanks to volunteer Quach My Nga has contributed these explanations.